Because new technology isn't always friendly! No one can deny the tremendous advantages that technology brings, nor the wealth of memories that are being created because of it. Unfortunately, though, it is not always as plug-and-play as the brochure or salesman would have you believe. Or as compatible. In many cases, getting your precious videos off of the camera - hard disk or camera card - can be hard work and there is always the chance of losing vital memories into technology's black hole. And there are many variables that come in to play (and play rough!) such as codecs, compression, connectivity and so forth. All too often those critical memories are left on the camera and played back when needed. 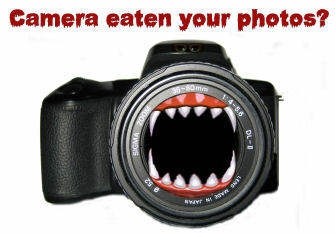 Which means, of course, they are at risk should the camera be damaged, lost or stolen. We can provide digital transfers from your hard disk or any type of camera card (SD, CompactFlash, Memory Stick etc) onto DVD as either a straight backup or as a playable DVD. If it's all too much hard work - or too confusing - let us help. If your memories are important to you then they are important to us.